Hot damn, you guys. Can we take a second to talk about how near impossible it's gotten to book a room in a Walt Disney World hotel in a reasonable time frame? I've talked about some of my odd room reservation experiences before, and I've learned a lot from them. Primarily, I've learned to book a room the SECOND you so much as CONSIDER going to WDW, a year in advance if possible. I was smart for this year's Wine & Dine Half weekend, and booked my room at Pop in January. When I decided to extend my races weekend to include the 10K, I was luckily able to cancel my first reservation and re-book with the additional night. That was March. I promised to send her an email with info about Pop, where I'm staying, as well as some alternatives. A search on the Disney site with our dates found that, six months in advance of arrival, you can stay... practically nowhere. Certainly no values. Art of Animation has suites, but they're twice as expensive as a regular room. On the moderate level, I've seen Coronado and Caribbean waft in and out of availability - but they're both under construction, so yuck. And then of course you have a smattering of deluxe resorts, but it's mostly only the fancier rooms that are still available, with views and suchlike. I don't run in circles where the people are made of money, so. For now I've advised Erika to pick up the Art of Animation suite (which wouldn't be the worst to have with two kids). If she wants to stay with me in the end, great; she can cancel. If not, she has a room - and in the meantime she can keep checking back. If her nerves are steely enough, she can probably expect a value to pop up a couple weeks out from check-in day. I've had that luck before. What's your Disney hotel reservation strategy? Have you ever been locked out? Yeah, it's gotten crazy. As a travel agent I see it all the time with people looking to travel in a couple of months - everything is booked or super expensive. 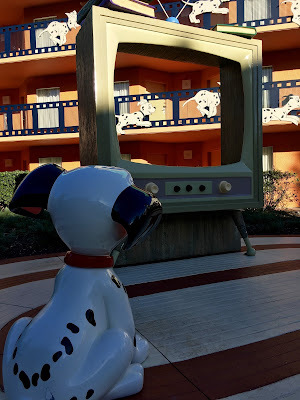 I've started saving reviews of the Disney Springs hotels now so I can look into those, but it wouldn't be ideal for a race weekend.